Social media is ever-changing. There’s always a new crazy way people can document every aspect of their lives, but what if you’re a business? With so many social media sites already out there and even more popping up each day, where do you begin? Do you create a Facebook account or do you hop on whatever “the new Pinterest” is today? Utilizing social media in your business strategy is one of the best ways to get your name out there. It's a great way to market your services, products, and help boost your brand. Not only that, it gives you the chance to connect with fans, customers, and prospective customers on a more personal, human level. Are you ready to dive into the deep sea of social media? 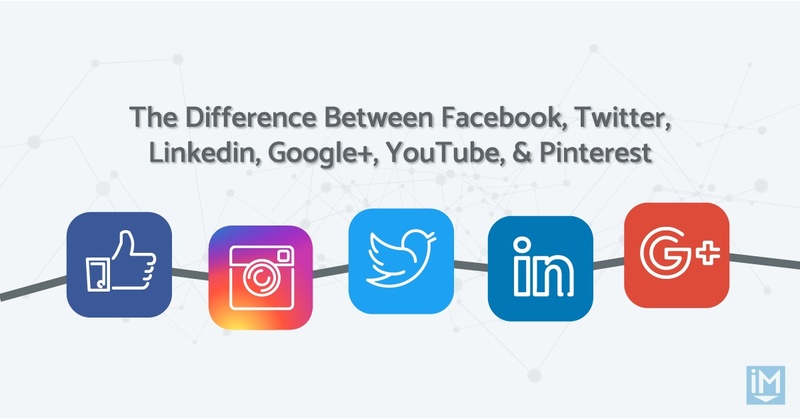 Below, we’ll break down each platform and help you learn how to make the most out of it for your business. It’s important to start by building your fanbase on Facebook. Publicize your page and post a link to it anywhere you can, including adding a social icon onto your website. Once you’ve created a strong following it's important to use status updates or photos to share your products, offers, services. You should also post things that get your audience to engage with your posts. Things that they will click, “like,” comment on, and share. The more people are engaging, the more frequently you’ll appear in others timelines. Facebook Advertising is really picking up speed in the business world. It uses social graph and activities to pinpoint those who fall into your buyer demographics, making Facebook Ads incredibly effective. 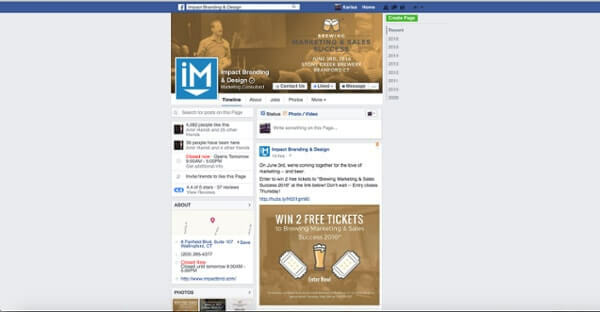 Facebook ads are more likely to bring in strong leads that are actually looking for your services. They help make sure your advertising budget isn’t wasted on those who aren’t really interested in what you’re offering and helping to put product or service put into the hands of the exact person who wants or needs it. To go much deeper into mastering Facebook, download this free guide. Twitter generates over 175 million tweets daily and allows you to share quick pieces of information and photos in an effort to drive people back to your site or landing pages. You only get a small amount of characters, so make them count! While Twitter is a great way to share quick thoughts and generate traffic to your website and offers, it’s important to make sure you’re also building relationships with followers. People follow you because they like what you have to say, but often also to engage in conversation. Like you would on Facebook, ask and respond to questions, respond to mentions and direct messages. Twitter is as useful for driving traffic as it is for customer service. Hashtags (#) are you key tool on Twitter. These tags allow you to reach a wider audience than just your followers by getting involved in existing conversations. People searching for specific information will often check hashtags to see what’s out there. Do some research what your buyer persona is hashtagging to make sure your posts are going to be found by the right people. Our free guide "Tune Up Your Social Media Marketing" will teach you everything you need to know to master Twitter for business. You can get it here. LinkedIn is different from the rest of the social media outlets because it’s specifically designed for business and professionals. Users mainly go to LinkedIn to showcase their job experience and professional thoughts, making it one of the more important platforms to use for those in B2B. Between features like LinkedIn Pulse, Company Pages, InMail, Groups, and “Get Introduced” and the ability to see who’s viewed your personal profile, LinkedIn is a valuable tool for not only driving traffic, but prospecting, establishing thought leadership, as well as recruiting. There is a lot less conversation happening directly on LinkedIn pages then there is on other social media marketing profiles. One way around this is joining LinkedIn groups where you can meet people from the same industry or with similar interests, ask and answers questions, and engage in conversations. Pose a question to the group to get a conversation flowing. It’s a great way to showcase your expertise on your industry. Google+ is Google’s answer to social networking. Similar to Facebook pages, Google+ allows you to share updates, videos (linked directly to your YouTube account), be followed, and get reviewed, but with the addition of creating “circles.” Circles are segmented lists you can create of your contacts and followers to pick and choose which content they see, but more on that later. While not the most popular social platform, Google+ is nevertheless crucial to getting found online. Almost every business automatically has a page created and listed, but optimization is up to you. You want to make sure you don’t forget about this platform, as Google gives preference to these pages in its search results. Make sure everything is up to date and that you have completed all the necessary information like company mission, website link, and business hours. It’s also important to use strong images, make your profile open to search, and share updates directly to your page. Do you have a lot of different types of people you want to reach out to? From employees and customers to your CEO and General Manager? Well, this is where Google+ Circles comes in handy. With Circles, you can separate your followers into different groups so when you're making an announcement or just posting your latest press release, you can choose who you want to share this information with! No other social media marketing tools can really do that and it is a very important feature in the fight for personalization. YouTube is the leading video-sharing platform in the world. On your channel, your brand can share and edit its own videos, create playlists, and prompt discussions. Since it was bought over by Google in 2006, YouTube is another platform that the search gives priority to in its search results so take advantage of it! YouTube for your business is a great way to get your face out there. Videos are a lot more engaging and shareable than text content and they also aid your search rank in Google. When creating videos for YouTube quality matters. Make sure there’s a purpose and value to what you’re uploading and sharing. Also make sure to pay attention to your production value. Both the video and audio of what you upload should be crisp, clear, and easy to understand. No shaky cameras! YouTube gives you a gateway to be an educator in your industry. Upload webinars or videos speaking on important topics that further the education of your audience. Pinterest is one of the more unique marketing platform on this list. Instead of posting content for your audience to read, on Pinterest, you’re posting just a clickable picture and a short caption. This is a very popular platform for brands with a tangible product, i.e. clothing and food brands, restaurants, those in eCommerce, etc. Pinterest is a superficial platform, so every image you post has to be high-quality and striking to stand out in your feed. When you start posting images make sure they link back to a related blog or page on your website. As people click through from your image to your site they want to see or read something that’s related to the image that caught their eye. Once you begin posting organize your Pinterest by dividing it into boards. Each board should have a category relative to different aspects of your business. Make it simple for your followers to find what they're looking for. Also make sure that your caption is keyword optimized. Like any other search engine, Pinterest cannot crawl images. This caption is how your pin will show up when people are browsing. Pinterest added a tool for businesses to better track exactly which pins are working and which aren’t. This way you’re able to collect data on what images people are clicking on. Once you know what your audience is interested in you can make sure to use more images that are along those same lines. Now that you know how important social media marketing is for your business and what some of the most popular platforms have to offer, it's time for you to put it to use. Get your free copy of our guide “Tune Up Your Social Media Marketing” to get started and be sure to follow these tips to ensure success when sharing your business's content across each platform.